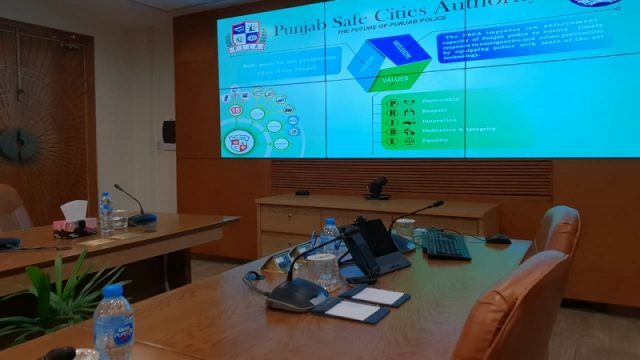 Punjab Safe Cities Authority held three meetings of extreme importance to discuss the plans to facilitate the pedestrians and commuters, on the strict directions issued by Justice Lahore High Court, Ali Akbar Qureshi. The Lahore High Court (LHC) categorically highlighted various issues to be resolved regarding the facilitation of pedestrians and commuters. To secure the progress and formulation of plans for the implementation, the Chief Operating Officer (COO) of PSCA, Akbar Nasir Khan held meetings, which were attended by the Secretary Transport Babar Shafi, Chief Engineer LDA Mazhar, and CTO Captain (R) Liaquat Malik, Director Home Rabia Lateef along with the technical teams. The core purpose behind the meetings was to ensure the facilitation of citizens, pedestrians and commuters. He said that the authority is in contact with the relevant departments to maximize the level of facilitation to the citizens at all required points. To kick off the project, safe pedestrian crossing or a walk-way in front of Punjab Institute of Cardiology (PIC) was discussed by the forum. Chief Engineer LDA, on this occasion, told that the feasibility plan will be made in the next two days which would then be sent to the apex court to acquire funding for the project. A various number of cases have been observed in front of PIC where commuters violate the traffic laws by entering from the opposite direction on U-turn. Therefore, to restrict the opposite entry on U-turn in front of PIC, installation of ‘tyre-busters’ was also considered by the board of meeting which would require a prior approval of the DG LDA. On this occasion, CTO Captain (R) Liaquat Malik laid stress on implementing the law and ensured that any illegal entries on U-turn will be put to a halt with immediate effect. Secretary Transport Babar Shafi added that a strict action will be taken against all the defaulters and all the illegal motorcycle rickshaws will be dealt under the law. While discussing the traffic congestion on Shahkam Chowk, he said that the issue has become so significant that we have already prepared PC-1 worth Rs.8 million to facilitate the commuters on the route. However, around 75% of the work on this project will be carried out by the connecting private societies in that region. On the instructions of LHC to ensure easy payment mechanism for E-challans, Director Home Rabia Lateef briefed that a summary has been shared with the Ministry for the approval of online payments which will be straight away available after the approval from the Finance department. In this regard, a number of companies have submitted their proposals to PSCA for online payment solutions of E-challan to make it even more convenient for the citizens. Stay tuned for more updates on Pakwheels. Drop your thoughts in the comments section below.